Pay Everyone a Basic Income? Why Is This Now a Hot Topic? It's a seemingly nutty idea that only bleeding heart liberals could have come up with, right? Except Milton Friedman once proposed it. C'mon, it must come from all those Marxists at universities. Except so did Richard Nixon advance the idea. Nixon saw a guaranteed income as a cure for welfare. Friedman, the late libertarian economist, favored it to end the intrusiveness of the welfare state, although preferring diminished amounts at higher income levels. universal basic income in his commencement address at Harvard. Elon Musk thinks it will become a necessity. The idea of paying everyone a basic income  which we wrote about briefly a couple of years ago  seems to have sprouted from a number of sources lately. There isn't a chance of such a scheme happening any time soon, but the idea attracts for different reasons. Conservatives are drawn to it as a way to get rid of the tangle of overlapping social programs. Those on the right have often thought an unconditional basic income paid to every American, rich or poor, would be better than the minimum wage. What's odd is they would prefer to draw from the public till to pay supplemental wages rather than require corporations to pay a decent minimum to their own workers. Dislike of any mandated wage seemingly leads conservatives to extremes. Besides, a basic income would not be that much of a departure from the earned income tax credit, which rewards effort by paying, rather than taxing, people who work but earn little. The EITC was Ronald Reagan's favorite social program. Conservatives claim (though without ever providing a list) that there are some 80 federal programs that provide assistance to low-income Americans. Wouldn't it make sense, they say, to do away with the lot of them  the nanny state of the bloated bureaucracies who decide who should get food stamps, housing assistance, even repeal minimum wage laws . “Poor people are poor because they don’t have money, but almost none of these programs give people money", says Michael Tanner, senior fellow of the Cato Institute. "We treat people like they are 10 years old. We pay their landlord, their doctor, their grocery store" for them. Just give people money. If they spend it unwisely, well, that's their look out. The other sizable group drawn to the idea are those who see a future in which robots and artificial intelligence (AI) eliminate jobs for humans in the hundreds of millions. Zuckerberg said his generation in America “will have to deal with tens of millions of jobs replaced by automation like self-driving cars and trucks.” Donald Trump blames China for job loss, but a growing consensus is that technology is the culprit. A Brookings Institution study found that whereas it took 25 jobs to generate $1 million in manufacturing output in 1980, already automation has reduced the need to only 6.5 jobs today. The Boston Consulting Group says that robots now perform about 10% of the work on manufacturing floors around the world, but that will rise to 25% by 2025. Two Oxford academics caused a media stir when in 2015 they presented a paper saying that 47% of American jobs are at high risk of being automated computers “over some unspecified number of years, perhaps a decade or two”. They had looked at 702 of the jobs listed by the U.S. Department of Labor and judged the vulnerability of each based on nine variables. Consulting firm PwC and the McKinsey Global Institute say much the same; that tens of millions of Americans will see their jobs taken by automation within the next decade. These losses would be in addition to the 7 million manufacturing jobs the U.S. has shed since 1980. Which is to say that, rather than dismiss outright the idea of a universal basic income as impractical or sociologically undesirable, it is far more prudent to think how it might be made to work. 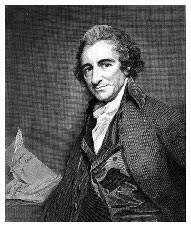 Many, going back in this country to Tom Paine, have tossed out reasons for why a guaranteed income could be beneficial, but few have tried to puzzle out the mechanics. Here are a couple who have. Their proposals make for interesting thought exercises. The most recent entrant to the field is Chris Hughes, Zuckerberg's roommate at Harvard who became enormously wealthy on his small piece of Facebook founder stock, went on to run Barack Obama's online campaign in 2008, and has now written a book on the basic income question. He is concerned for the over 40 million Americans who already live below the poverty line. Of them, 1 of every 5 is a child under age 6. Hughes cites case histories showing that cash grants work. People are given mobility to find work and earn a better income. The young in recipient families perform better in school and college. Adults use less tobacco and alcohol, and suffer fewer hospitalizations, illnesses and untimely deaths. Hughes proposal isn't universal. It would pay $500 a month to only those adults in the 42 million households that earn less than $50,000 a year. He calculates that this stipend would lift some 20 million people above the poverty line immediately. To pay for it, he would raise the tax rate on both income and capital gains to 50% for those earning more than $250,000 a year. But there's a hitch. Only those who work would be eligible. That forgets that the need for universal basic income will be the disappearance of jobs. The disabled or those who can find employment would be cast adrift in Hughes' plan. Further, hard edge cutoffs  the $50,000 in his case  are blunt instruments. They can cause people crossing the cutoff to actually lose income. Others suffer a marriage penalty when a couple's combined income crosses $50,000 and both lose their $6,000 dole. Still others would game the system, hiding income to stay under the $50,000 line. British economist Sir Tony Atkinson would smooth the rough edges of the work requirement. He advocated a “participation income”, paid only to those who contribute in some way to society, whether by working, looking for work or volunteering. Charles Murray, a libertarian political scientist and a fellow at the American Enterprise Institute, also wrote a book that proposed a basic income. Every American citizen age 21 or older would receive $13,000 a year from the federal government. Of that, $3,000 must be used for health insurance. Persons earning under $30,000 a year keep the rest, free of taxes. For those earning over $30,000, a graduated payback to the government sets in — ending at a maximum return of no more than half the original payout, reached when someone earns $60,000 a year. But everyone would be left with a minimum of the other half  $6,500  no matter how high their income. What pays for this? The numbers would work, Murray estimates, if the government were to eliminate all $2.2 trillion worth of annual benefits— and he does mean all: Social Security, Medicare, Medicaid, food stamps, Supplemental Security Income, housing subsidies, welfare for single women and every other kind of welfare and social-services program, as well as agricultural subsidies and corporate welfare. He estimates his replacement plan would cost about $3 trillion a year. Purists would disagree with both these structures. The fundamental premise of universal basic income is that everyone receives the same amount. That the rich get the same payment as the poor does away with the resentments engendered when some must work for their income and the rest are paid to sit idle. Andy Stern, former president of the country's largest labor union, Service Employees International, comes closest to that. Saying "Murray seems to want to teach poor people a lesson", Stern would instead pay $12,000 a year to everyone aged 18 to 64. At that point Social Security would take over. His estimate is that his plan would cost $2.5 trillion a year  twice what is now spent on entitlements today. He would pay for it by a number of taxes and elimination of many antipoverty programs. "I shall now proceed to the plan I have to propose, which is, To create a national fund, out of which there shall be paid to every person, when arrived at the age of 21 years, the sum of £15 sterling, as a compensation in part, for the loss of his or her natural inheritance, by the introduction of the system of landed property...It is proposed that the payments...be made to every person, rich or poor. It is best to make it so, to avoid invidious distinctions." 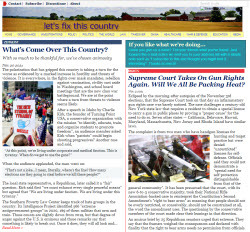 Thinkers on the left in universities and elsewhere see a basic income as a return to fairness that would somewhat offset economic inequality alreadyout of control and continuing to widen.To others, any basic income concept is a big-government redistribution scheme, a step toward the socialism of taking money from the successful to give to "able-bodied young males sitting in front of video boxes stoned and unemployed", in Murray's words. 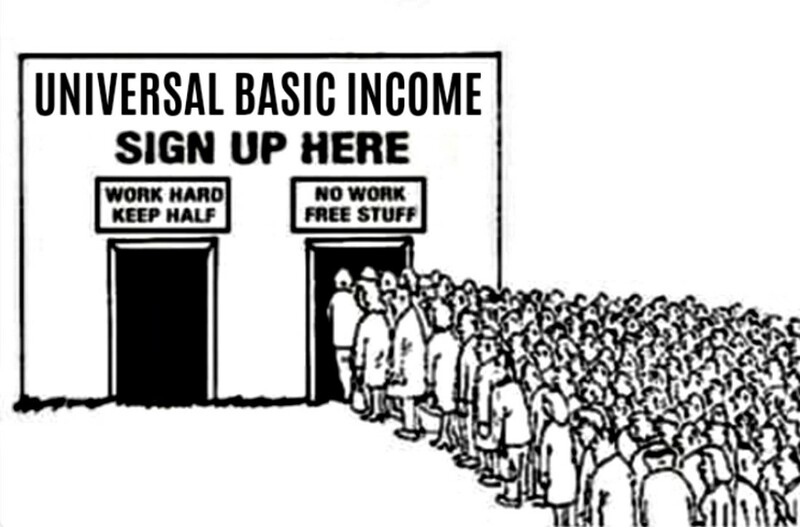 In any case, a basic income program would have to be just that, "basic". Apart from there not being enough wealthy people to support a full living wage for any or all of society (and why should the wealthy be expected to foot the bill? ), an overly-generous basic income funded by very high taxes would be self-defeating. That would likely create a society like Saudi Arabia's, a population made deeply resistant to work by its oil windfall. Why work if the government will pay you enough to not work? Any practical program should be designed only to provide a leg up, enough to get the rent paid or put some food on the table, but not enough to obviate the need to scratch the ground for further income somewhere, despite a changed landscape where robots and AI have pushed humans aside. There are hidden benefits in a basic subsidy paid to low-income people. That is money immediately spent, which would produce a boost in economic activity that wouldn't happen without it  an uptick in GDP. Musk makes an interesting point: “With automation comes abundance. Almost everything will get very cheap”. Other countries have been experimenting. The Swiss voted on whether to institute a universal basic income in a 2016 referendum. It lost by a huge margin — 77% against, to 23% in favor — but how much of that might have been the whopping amount proposed? It was to have been absurdly expensive, with the equivalent of $2,500 a month to be paid to every citizen at a cost of about $210 billion, 30% of the country's GDP. The Finns just completed an experiment whereby, beginning in January 2017, 2,000 randomly ch British economist Sir Tony Atkinson would smooth the rough edges of the work requirement. He advocated a “participation income”, paid only to those who contribute in some way to society, whether by working, looking for work or volunteering. I’m surprised Charles Murray is in favor of this, but it could be his worn out be the heat over his “racist” The Bell Curve, and needs to have some points with the left. O.K. This money that we provide for every person, (is it citizen only or everyone?) eventually comes out of our taxes. Where I live, making $100,000 a year doesn’t cut it, but we can’t assume it will only come from billionaires. I like the idea of food stamps, better education and more universal health care, but if we are to achieve this, I suggest it would make the “universal basic income” not viable, unless this UBI would substitute for these entitlements. The principle of the free market is what I earn is mine to spend how I wish. If I prefer sneakers that go for a couple hundred dollars, and rock concerts at a thousand per ticket, it’s my choice alone. If I do these things and then I can’t pay my rent, I will learn my lesson without some authority cutting me off. Just today I was asking a guy I play tennis with about his RV, and he told me, I live out of it. We live in an expensive area, but I have known a few guys who did this, and he was living on his social security. No one tells him how to live, but he makes the decisions, and as he conveyed to me, he’s happier than when he was more prosperous. We live in a free society, where people are allowed to make mistakes, be industrious or live a life of adventure, and maybe end up in a run down R.V. Personally, this is my preference. .